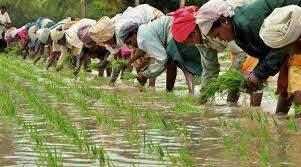 What it takes to Double Farmer’s Incomes in India? The Union Budget presented on February 1 by Finance Minister, Mr Arun Jaitley has announced certain measures for agriculture sector in India. The question is, whether these are enough to realise the dream of Prime Minister Mr. Narendra Modi to double farmer’s incomes by 2022? apparently, doubling of farmer’s income which implies making agriculture a profit earning economic activity is always welcome. This is because agriculture is the main source of employment in India and the nation has been experiencing agrarian distress over the last quarter century. Thus, livelihood security of substantial number of people, associated with agriculture, has been jeopardised with prolonged agrarian distress from which no region has been spared.